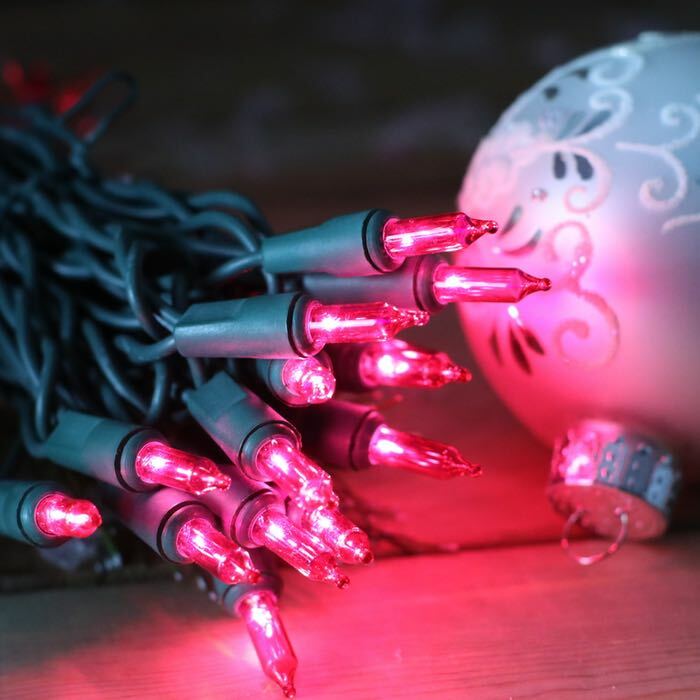 Pink is always a popular color and in Christmas lights, it's fantastic! Add a glow to your Christmas tree or add underlighting to furniture. A rich magenta pink, this color is not pastel but is bold and vibrant. Keep in mind that matching pinks can be tricky so consider combining these lights with metallic ornaments and white in the Holiday season. 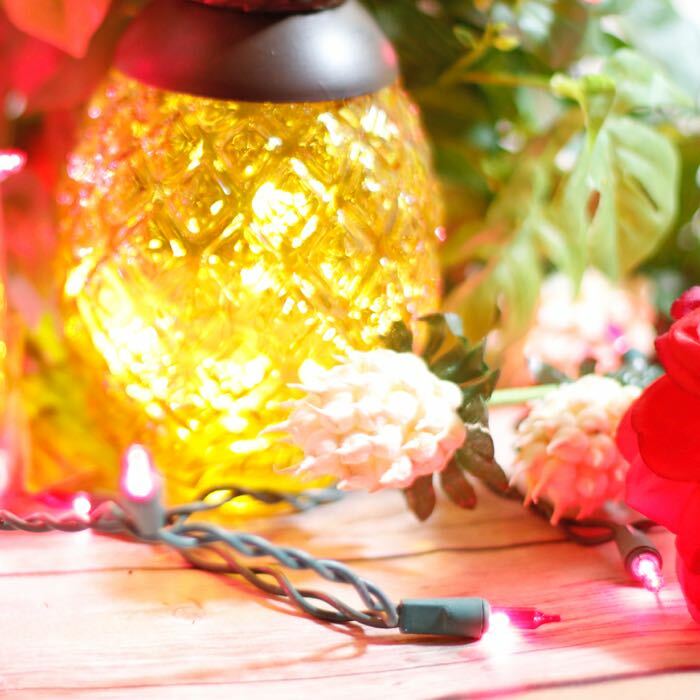 Constructed with 100 lights to the string separated by 2.5-inch spacing, this light string is over approximately 21 feet long and is manufactured with 2.5 inches of wire between the plugs and first lights at the beginning and end of the string. This shorter spacing gives you more light to the foot and makes installation quick and easy. Less wrapping, less wire. Fitted with a standard male and female plug set, these lights plug into any standard household outlet. You can run up to 5 sets in series for a fantastic 100+ feet of sparkle. To run more sets, install these strings with a second extension cord or splitter. Q: what does the 2.5 inch wire mean? How long is the whole line for the 100 mini lights? We must moved the specifications for this strand under the Specifications tab and I see that things could be more clear - we'll fix that. The 2.5 inches is the spacing between the bulbs. The approximate length of the strand is 21 feet. I hope this helps!